The Lego movies are always fun. Lego plus a superhero? Bound to be a good one. I loved the whole premise of this that everyone needs family and friends. Of course, Batman is a loner and must learn this lesson the hard way. They made this usually over-used concept work and feel fresh and new. This was a fun watch and I was constantly laughing at the jokes and the references. I loved the Joker. He was the best. All he wants is Batman to admit that he is his Arch Nemesis but Batman won't. Poor Joker. I felt really bad for him...Batman broke is wee little heart. The characters were entertaining even the baddies. Sure, Batman was the main character, but the side characters all were complex and had their spotlight and part in the story. I'm not sure what else to say. This was a cute film and I enjoyed it. There were laughs and feels. The whole Lego art is fun and just adds to the humor. 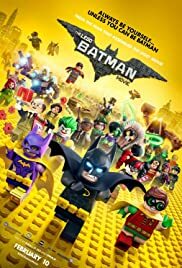 This was the best LEGO movie I have seen. I have watched a couple of others and they were not as good as this. For some reason, this just worked so well. The writing was great. I enjoyed the dialogue. The action was action-packed and I was glued to the TV. I had to know what was going to happen next. This is a good movie for the whole family and I highly recommend it. Fun and entertaining. I'll give this 5 stars. I have not seen a LEGO movie yet. My daughter says their funny, though. At my daughter's suggestion, I watched this movie with her. We enjoyed it very much. Very funny. My mom was not entertained.